When seeking out the season’s style objectives, many factors come into play. Whether it be color choices, accessories that are poised with purpose or those that just catch our eye. I’ve enlisted a few that incorporate all aspects. Nothing shouts out spring has sprung more than these cute little steppers. The shoe offers unbelievable comfort and fashion form. I couldn’t believe I was wearing heels! These shoes are priceless in peep toe! Foot is securely supported in style and stature and so easy to slip on. Added bonus…they go with everything! For the trend focused wine enthusiasts in mind, a hidden hideaway handbag storing a lady’s favorite beverage. Simply pour your favorite wine into the pouch, which is discreetly located in a zipper pocket and the dispenser neatly tucked away on the bottom corner of the purse. No one is the wiser to this covert accessory. 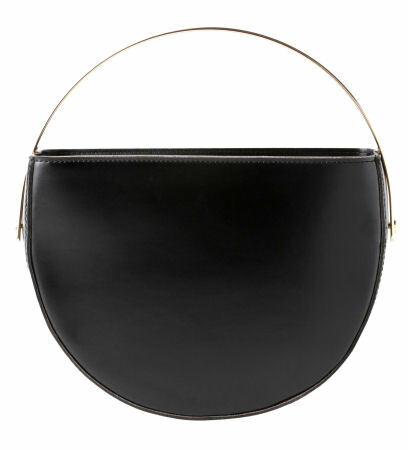 The perfect size, this half-sphere shape is the clutch to covet. 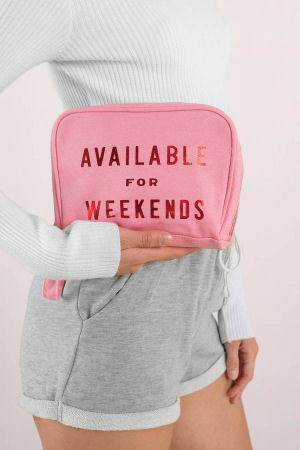 Sometimes weekends just need a shout-out! It’s ideal to fit neatly in the suitcase and hold all your make up and jewelry essentials. Since the moment is upon us and it’s now or never to achieve that summer bod, looking and feeling lean while you workout is key. This tank does just that. The garment has a 4-way stretch fabric that is formulated to keep moisture away from the skin and compression power mesh for custom fit and support. I’m consistently bothered by where to put my keys and phone when working out. Your pocket, too cumbersome, the floor…yuck! The only other option is the locker room. But what if you need your phone? These crops solve that ongoing issue. The only pair of running pants that secretly secures your essential items while you’re on the go. 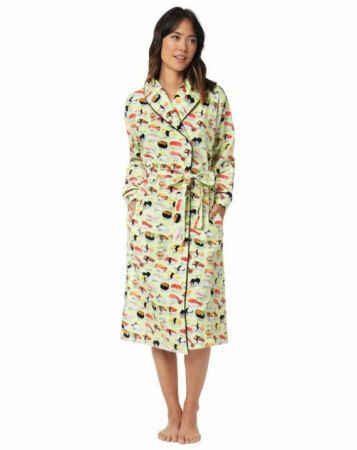 When you just can’t get enough sushi that you dream of it, this celebrity fav is oh so soft and comfy! Now that the Spring sun is surfacing one needs suitable protection that goes with everything. These fashion forward frames fit your face comfortably for everyday wear. I grab these spicy specks when I’m gearing my look towards Hollywood glam for the day. Full coverage frames for much needed sun protection.